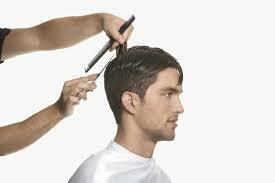 Men have hair needs that can’t be met by the current discount hair providers or barbers. They have cowlicks and scalp issues that require time and technique to correct. Because salons use scissors, and less clippers, they can work around cowlicks and address varying hair patterns that are difficult to address with clippers at a barber shop. In addition, salons are more likely to carry the types of products to address their specific hair and scalp concerns. Men want and deserve the same tender loving care (TLC) as their female counterparts. Current discount hair providers rarely have a time to prime and pamper their clients. In fact, most of them don’t even have time to shampoo the hair. All there is time for is a quick clipper haircut before moving on to the next client. Whereas, at a salon you’ll get the full “red-carpet” experience including a consultation where you can discuss your specific hair concerns, a relaxing shampoo, an expert haircut, and a thorough rinse and hair style! Most barbers or discount hair providers specialize in short, classic men’s haircuts which typically involve fades and tapers achieved using clippers. This typically results in a neater and more uniform look. On the other hand, hair salons are known to specialize in longer, textured, layered hairstyles that require the use of scissors. This typically creates a trendier and more organic look as opposed to the neat and uniform look clippers give. Walk into a barber shop and ask for some highlights in your hair and most barbers will look at you like you’re from another planet! Walk into a salon and ask for some highlights and they’ll ask you if you’d like to add some low lights as well? Simply put, if you’re looking to color your grey or update your look with a pop of color, the hair salon is the place to be! The decision to have a man or woman cut your hair is really all a matter of preference. 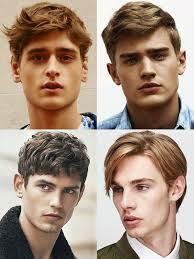 There is no scientific evidence that points to men or women stylist being better at styling or cutting hair. Some men are cool with a man cutting their hair because who best to understand what a man wants than a man. However, there are some men that would prefer a woman’s touch (bonus points if she’s cute)! Whatever your preference, you’ll typically have your choice of a male or female stylist at a hair salon, versus a barber shop which tends to have mostly male stylists. 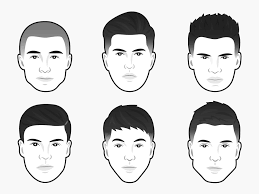 Looking for more style versus a basic clipper hair cut? Contact us today to schedule an appointment with the best hair salon in NYC!